In 1941, during the height of World War Two, a plan was hatched to broadcast black propaganda into Europe and the Third Reich. It was to make use of the world most powerful transmitter, a 600kw transmitter built in the USA but deemed to powerful to use. Work begun on the site in Crowborough in 1942 under the authority of the Political Warfare Executive, during the construction Churchill demanded daily updates on its progress. By October 1942 the site was complete, it housed three 300 foot masts, supporting masts, a large powerhouse and an underground bunker; all the supporting buildings had jagged roofs to hide them from reconnaissance planes. Land lines were put down between the site, the BBC, PWE and the Air Ministry in London; from these locations there was total control over the transmitter which allowed all necessary frequency changes. The transmitter had an amazing ability of changing frequencies within an instant, allowing the Germans radios not to notice the switch from their transmitters to the British transmitters. The first transmission was on the 8th of November, 1942 and it was for BBC’s world service, the first black transmission was on the 30th of January 1943. Apparently, the transmitter was also used to fool the Luftwaffe; this was done by playing a certain piece of music before a British bombing raid that would direct the Luftwaffe towards the incorrect city – the Luftwaffe had certain pieces of music that they would play depending on which city was to be raided. After the war the site became part of the Diplomatic Wireless Service and was used for the broadcasting of the World Service. There is also evidence that the site was used in the research of radio transmissions; by the end it has a total of 34 transmission masts. The final transmission was broadcast on the 28th of September 1982. 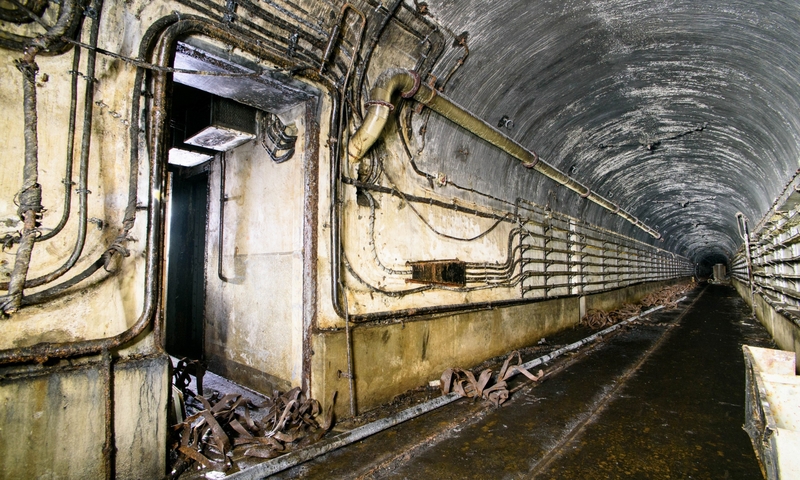 The Home Office took over the site in 1984 and set about dismantling the old transmission equipment and started to renovate the old bunker to convert it into a regional set of government.